Have your child divide their homework into doable sections: what they want to start on immediately after school, what they wish to work on after chores or dinner and what to finish up later in the evening. I’ve found that the most effective plan for eliminating homework/bedtime woes starts as soon as your child gets home, not at the end of the day when everyone is tired and probably not at their best. It’s also important to make it realistic so that it works for everyone, you can follow it consistently, and you don’t ask too much of yourself or your children. Here are eight tips to help you create your Calm Evening Plan. You can try all of them or pick and choose. Divide Homework into Doable Sections. Homework should begin after decompression time so that it doesn’t interfere with bedtime. For kids of all ages this tends to be a challenge, so breaking homework up into doable sections can help. Some parents find it helpful to have their kids divide their homework into sections: what they want to start on immediately after school, what they wish to work on after chores or dinner, and if necessary, what to finish up later in the evening, after they shower or complete an extracurricular activity. Some children need breaks in between assignments. For younger children, set the timer (15 minutes is usually good) and explain that once the timer goes off, they have to sit back down and continue. Older kids can set their own breaks, but make sure that break doesn’t turn into an hour on the phone. Let them know how they can access you for questions; for example, what’s a good time to call you at work? For younger children and middle schoolers especially, determine how you’ll check in on their progress. Set up Mom or Dad’s “In Basket.” Have another basket or a small area set aside for kids to put anything that has to be turned in the next day or later in the week. All permission slips, envelopes for money for field trips or the cafeteria, notes from teachers or coaches, or information about upcoming events get placed here. After dinner each night, review what’s in the basket and organize accordingly with each child. This will help ward off frantic early morning searches for that note from the teacher. Consider also using a long-term planner. Each child has their own slot in which long term paperwork goes, like rubrics for long-term projects, reminders for picture day that’s not for another month, outlines for book reports, or sports schedules. After Dinner, Focus on the Morning. If homework still needs to be completed, continue enforcing the “no electronics, no distractions” rule. 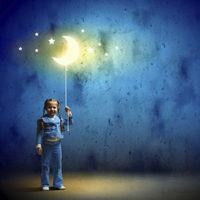 For younger children, it may be time to start getting ready for bed. But no matter what, for everyone it’s time to get ready for the next morning. Completed homework goes into backpacks, along with school books, signed permission slips, snacks, water bottles, and gym/sports gear. Once these are in order, backpacks get placed by the front door. For children ages 8-12, have them create a checklist that gets kept in an accessible spot (say, the refrigerator). They can use this to help them get organized in the evening and as a double check in the morning. Teens can be as spacey and disorganized as toddlers. But, this doesn’t mean that you should treat them as you would a toddler! On the contrary, teens need to focus on getting more organized the night before in order to prevent lapses in the morning. For younger children, this routine might include bath time, getting pj’s on, and a few stories before they are tucked in. Kids this age also enjoy picking out what they will wear the next day, which prevents early morning hassles for you. If your child has trouble falling asleep, stay calm and stick to your plan, telling them that you expect them to go to bed and stay there. For teens, set an expectation about their bedtime by saying something like: “I’d like to see you in bed by 10:30. Let’s talk about how much homework you still have to finish up.